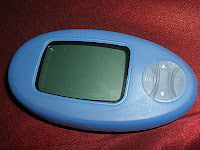 Texting My Pancreas: My Little Blue Conversation Piece. It's funny how perspective can completely change. 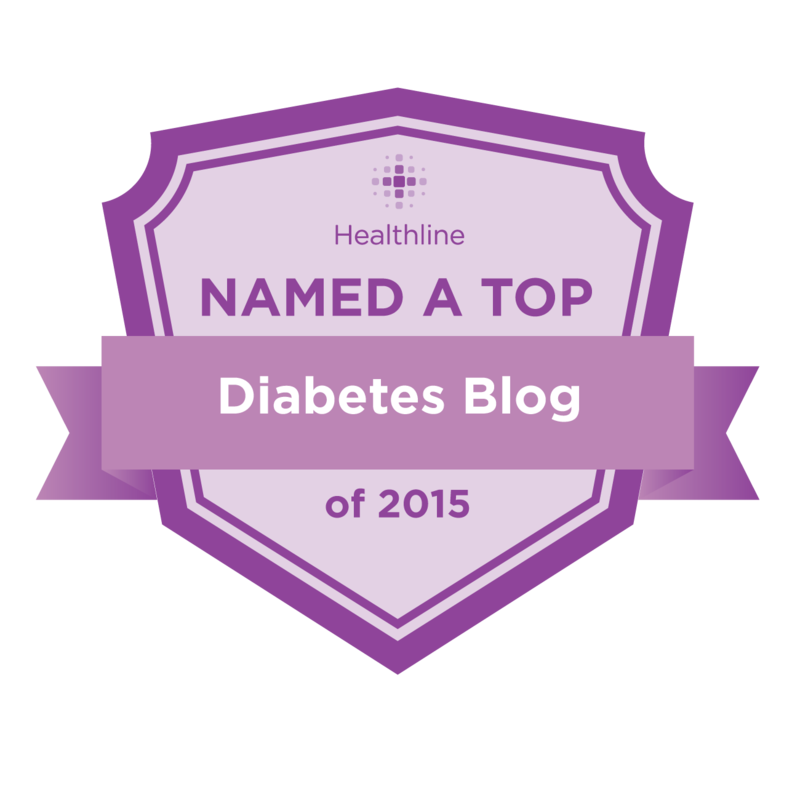 Even just a few years ago, my diabetes wasn't something I really talked about in public. It was a burden I wanted to keep to myself - this horribly irritating pet that would never die. Last night, I attended my local JDRF chapter's Walk to Cure Family Award Dinner, where the most successful fundraising teams from this year's Walk got pretty plaques and glass sneakers with their names on them. I attended first as a volunteer, but when it became apparent that I wasn't needed in that capacity once the program started, I made the executive decision to sit down for some free dinner. As we wrapped up the evening, she noticed my Dexcom receiver sitting next to my plate, in all of its blue glory (for Diabetes Awareness Month, of course). She asked, "Hey, what's that blue thing? ", and that was all that was needed for the flood gates to open. Excited Fast Talking kicked into full swing, and I might have gotten a little too enthusiastic about my Dexcom. I found myself frequently saying things like, "Oh my god, you have no idea...", and "It's so awesome!". I sometimes wonder if Dexcom realizes how much positive (and free) word-of-mouth promotion they get out of me. Situations like that are fun now. The support of the DOC (diabetes online community), and coming to a place where I can finally accept diabetes as a part of myself, have helped give me the emotional confidence to be able to share this rather large body of knowledge and experience I have. I love having the opportunity to share those parts of my diabetes life that make it easier to handle (like what it's like to wear a CGM, and how wonderful this online community is), because I remember very well what it felt like when life wasn't like this. I'm also now able to see my own previous hesitations and concerns in others, and I'm able to respond in a relatively helpful way. It's not that I think I have it all figured out - I don't. I know I'm not an "expert". 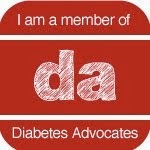 But, what I am is a person who has lived with diabetes for a while, has some things figured out, some tricks she'd like to share, and wants to grab everyone's hand and help get them to that place, too. Sharing my experiences is what I do, and I'm happy to do it any time I think it can do some good for someone else who's walking the same road as I am. I couldn't have forseen that I'd ever be this open about my diabetes life, but it turns out to be one of the best health decisions I've ever made.